With all of the delicious eats and treats on the minds and tables of most of us this time of year, it’s no secret that the holiday season is often accompanied by packing on a few extra pounds. 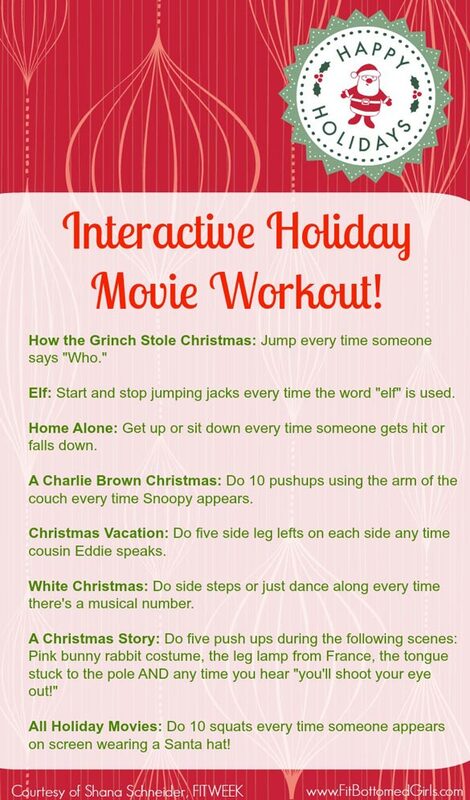 While there are plenty of ways to help prevent seeing some extra curves when the New Year rolls around, we thought we’d share one way we came across that’s sure to keep the family festive, active, and smiling: An Interactive Holiday Movie Workout! If you enjoy putting on a seasonal flick on this time of year (and who doesn’t, really?) then this one, courtesy of fitbottomedgirls.com, is for you!